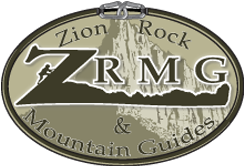 Canyoneering - Climbing - Biking - Hiking......we've got you covered. We've designed multisport and multiday trips that take in the very best of what Southern Utah has to offer. These pre-packaged trips include lodging and meals for your entire adventure with us. We offer four and six day adventures that include mountain biking, climbing, canyoneering, hiking and just having fun. Take a look at the packages below and find one that works for you and your group. Short and sweet-Down and Dirty all wrapped into one dandy, action packed trip. This epic weekend is filled with mountain biking to satiate anyone’s appetite. Make the most of your vacation time – Sample it all! Southwestern Utah is the adventure capital of the west.